Photos have been completed for the Dual Duel and the Garlic Festival races. Photos are free for personal use only as a benefit to members and participants. These photos are also available on each’s pages Results and Photo pages. Thank you to everyone that participated in these two events. Due to severe heat expected on August 2nd, ORRC has chosen to postpone our 45th Annual Dual Duel and ORRC Mile events to Thursday August 10th. All other details of the event remain the same. Online registration is open through midnight August 8th – click here. In light of record high temperatures forecasted and in the interest of public safety, the ORRC Dual Duel will be postponed until Thursday, August 10th, 2017. ORRC has consulted with medical professionals, and despite any amount of cooling preparations we have arranged, it will simply be unsafe to hold this event in the excessive heat forecasted for race day. The event will now take place at the same time and venue, on Thursday, August 10th, at Catlin Gabel School, With the ORRC Mile heats beginning at 6:00 pm and the Dual Duel +10k at 7:00. We will still finish under the lights around 9:30. We will also have cool towels and misting stations available for all participants, in addition to lots of water and shade. > Participants may run as planned on the new date. > Participants may choose to have their registration deferred to another ORRC race of their choice up to a 10k and before August 31, 2018. > Participants may request a refund. If you have already registered for the event, you will receive an email from the race director very soon with more details on the event’s new date. We will, therefore, keep online race registration open through Tuesday, August 8th. We appreciate your patience and understanding. I look forward to seeing you at your next ORRC event. The National Weather Service is forecasting excessive temperatures for next Wednesday’s Dual Duel. ORRC is considering postponing the event and rescheduling to a date in the immediate future. A final decision will be posted on Monday, July 31. Thanks for your understanding. ORRC is proud to continue it’s support for the Tracktown Youth League. Follow this link to see a video recap of this season – click here. Photos and results are available now for our 5 on the 4th event today. Thanks for joining us on this beautiful day! A special thanks to our volunteers that made this race possible. 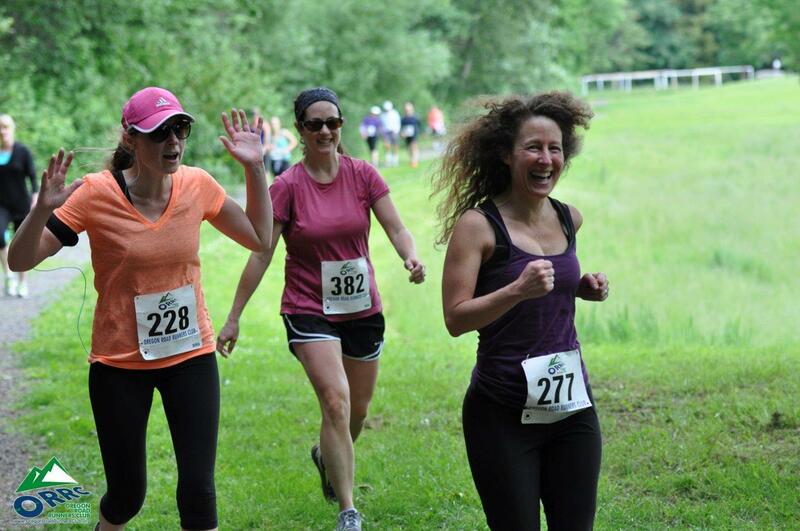 There’s still lots of time to register for the Summer Solstice 5K at the Oregon Zoo. A picnic dinner is included for the first 140 registrations! It consisting of a Zenner’s All Natural Hot Dog Meal, chips and soda served at the Black Rhino Hut, an Elephant Ear served at a neighboring food cart and a beer is offered to adults 21 years or older at a second near-by cart. Any additional food & drink beyond what is provided as part of race registration is available for purchase. Summer Solstice 5K at the Oregon Zoo coming soon! 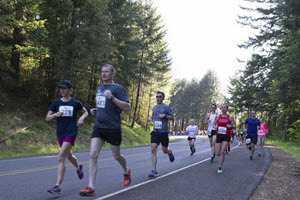 Join us the evening of June 22nd as the Oregon Zoo and Oregon Road Runners Club team up to bring you the Summer Solstice 5K, Kids Run (ages 3-12) & Tot Trot (ages 0-2). This event is open to all runners and walkers. Click here for more info and to register. Make your Memorial Day memorable by running the undulating hills of picturesque West Linn. This course has a downhill finish in the canopied forest and recreational fields of Mary S. Young Park. Join us at 8:30am. Registration open now – click here. Photos are now available on the Oregon Road Runners Club photo gallery for Champoeg 2017. You can also find links to them on the Champoeg Results and Photo page. Sets of photos are in the following order – 10K walkers, 30K, Half, then kid’s run and finally 10K. Thank you for your patience while our volunteer sorted and edited the photos. This popular recreational haven boasts big water and big vistas. 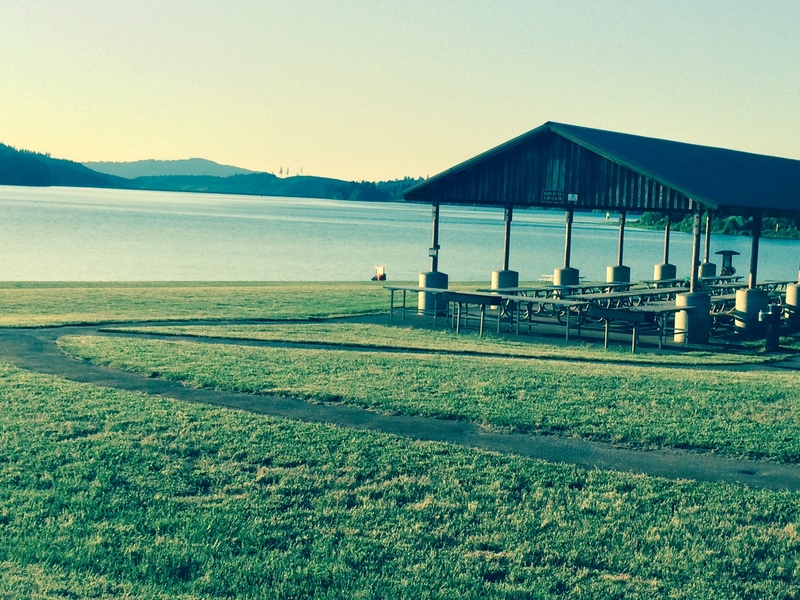 Hagg Lake Park plays host to three events, all featuring gentle hills and natural beauty. The 10.5-mile run equals one full loop around Hagg Lake. Both the 5K and 10K are out and back experiences. Coming soon you can experience a unique combination of history, nature, and recreation on a Champoeg Park course through forests, fields, and wetlands. 30K entrants complete multiple 10K loops. Registration for the 2017 event is now open – click here. It’s time to get muddy! Warrior-on at one of the most popular ultras in the Northwest, featured in Runner’s World Trail Edition as one of the top Oregon trail races. Click here for more info. Come on out to Forest Grove for ORRC’s first event of the year – the “Y2K” 10K and half marathon. Click here for info. Registration for the popular 10K Series for ORRC Members is open now. Click here to register. It’s a super deal to join us for seven 10K events throughout the year. Due to soccer practice blocking the Catlin Gable track, the running group for Tuesday night will spend another week at the Cedar Park Recreation Center on Tuesday, November 1. Please note that we will meet at 5:45 p.m. Also, please wear reflective gear and bring flashlights for safety. We will start meeting at Catlin Gable starting on Tuesday, November 8 at 6 p.m.
Also, remember that this will be the first Tuesday of the month, so join us as ORRC hosts free pizza afterwards, around 7:15 p.m. at Godfather’s Pizza, 11140 SW Barnes, Portland. The running group for Tuesday night will continue meeting at the Cedar Park Recreation Center on Tuesday, October 25. Please note that we will meet at 5:45 p.m. Also, please wear reflective gear and bring flashlights for safety. We will start meeting at Catlin Gable starting on Tuesday, November 1 at 6 p.m.
COLUMBIA BANK/ORRC — TURKEY TROT AT THE ZOO 2016; ONLINE REGISTRATION is CLOSED but you can still register in person at Early Packet Pickup, Cheatham Hall, World Forestry Center, on Wednesday 12:30 pm to 5:30 pm, or Day of Event, same place, at 7:00 am. Gobble, gobble! The most popular ORRC race, the Columbia Bank / ORRC Turkey Trot at the Oregon Zoo is a multi-generational family event. Runners and walkers of all abilities love the 4-mile, untimed outing between the Oregon Zoo and the International Rose Gardens. Click here for more information.